In a way, we all have to admit, it's a bit strange. Many would have thought that the feud between Daniel Bryan and AJ Styles had ended when Daniel Bryan beat AJ Styles for the second time. At the same time, there was news that AJ Styles was in negotiations with WWE for a new contract as his current one was about to end (strangely we haven't heard much about it). But then after TLC, Vince McMahon shows up and talks about an overhaul. In the subsequent weeks, he confronts AJ Styles and demands to see the real AJ Styles. AJ then goes on a rampage, wins the No.1 contender's match and then at the same time shows off a completely new side about him as he beats up Daniel Bryan on multiple occasions. What's strange is how on Earth did it happen? How on Earth are AJ Styles and Daniel Bryan going at it again for the WWE Championship? Didn't the feud end already? And what about Mustafa Ali who was brought in from WWE 205 Live and put up against Daniel Bryan from the get-go? We look at the probable reasons why AJ Styles Vs Daniel Bryan is happening again. WWE has a knack of surprising its viewers with shock results. But when you look at this card you see a lot of predictable results, because of which some matches would inevitably lack the quality that a PPV like the Royal Rumble really needs to deliver this time around. The match between Ronda Rousey is going to have Ronda Rousey as the victor. 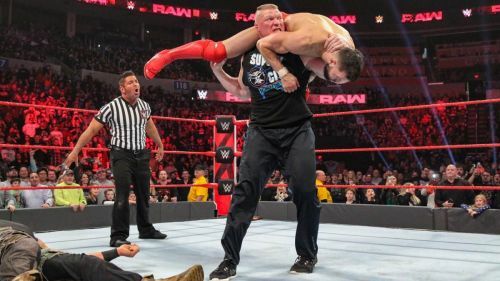 It's hard to look beyond Brock Lesnar in the WWE's version of David vs Goliath in his match against Finn Balor. The men's Royal Rumble will most likely have Seth Rollins winning and starting his road to Wrestlemania. Because of this WWE needs a match to catch the intrigue of the viewers and at the same time deliver in terms of quality. 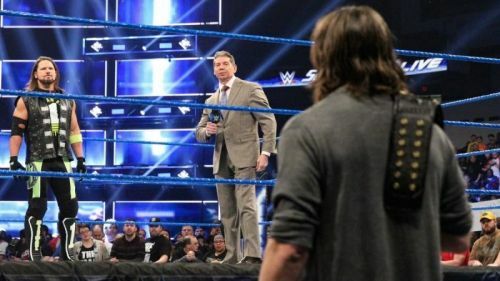 In terms of intrigue, the fans would be wondering whether AJ Styles would take the fall for the third time from Daniel Bryan or whether we could see some new feud start from all this and in terms of quality, there aren't many wrestlers better than these two if it is needed to put on a good show.